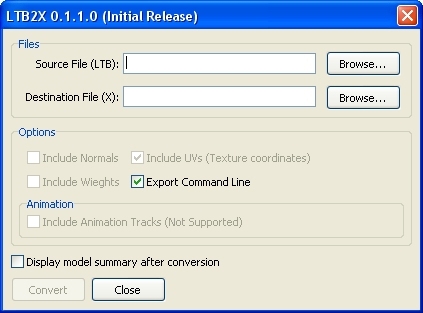 LTB2X is a standalone converter tool for the Lithtech native binary model files. It takes an .LTB file as an input and produces DirectX model meta file. DirectX model meta format is quite popular among game developers, especially for the purpose of prototyping and is frequently used in proof of concept products. That said, there are a lot of tools and plugins out there for converting .X files into native 3DS Max (.3ds) and Maya formats. You can try Milkshape's DirectX tool; 3D Exploration \ Deep Exploration. Notes: * Normals and skin weights are supported by .LTB importer, though they are not supported by the .X exporter. This should be corrected by next release. 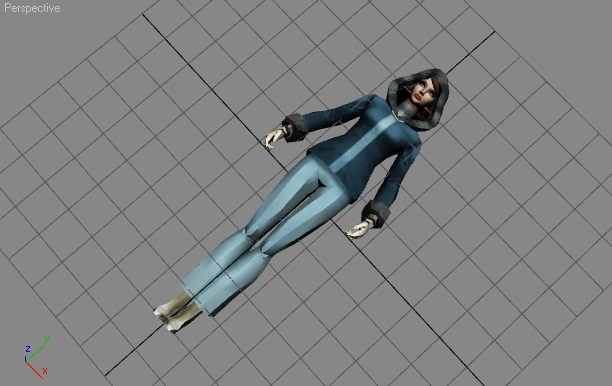 However, this is not vital, since normals are easily generated by quite any 3D model editor and skin weights are pointless without the skeleton. This tool was primarily designed to work with NOLF2 stock models. 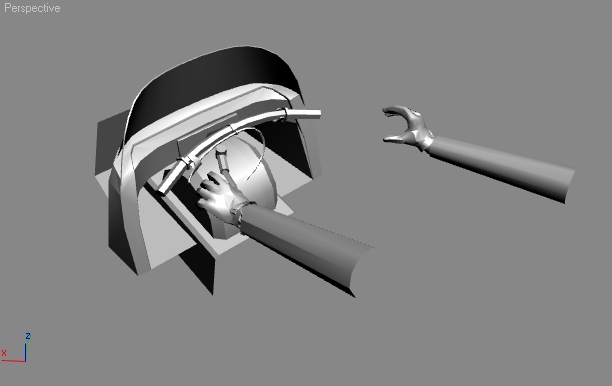 Although in most cases models are converted correctly, some bugs may occur here and there. 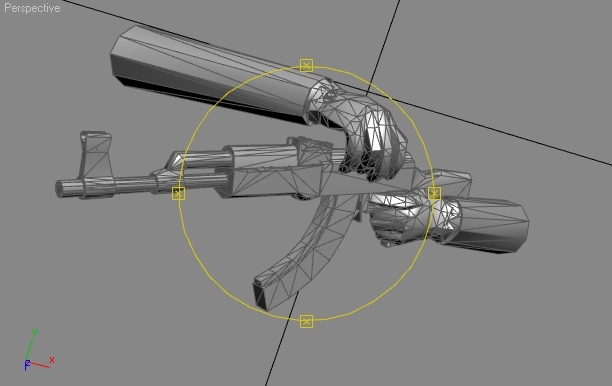 It is known that simple models like guns, props, vehicles generally cause no trouble. However some more complex models are known not to work with LTB2X at all, and there are many to be discovered. If you're trying to convert a model and get a "Tragic Error!" message - then surely enough, this model is not supported by this release. 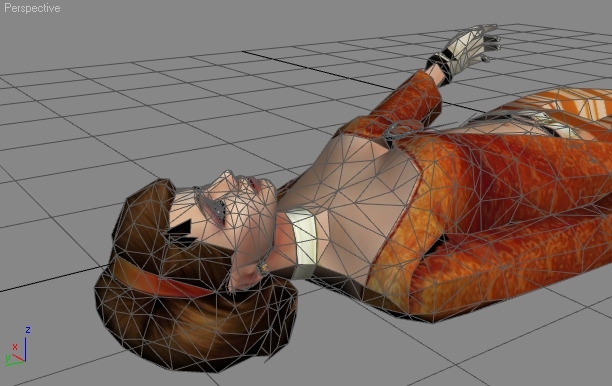 Extracting any models from commercial games is initially illegal. You are the only responsible for any consequence it might cause. Reusing (converting into other games, selling etc.) of any Jupiter powered game models is also illegal. You have been warned, be responsible. Please note that this tool is provided "as-is". Trademarks: LithTech Jupiter System � 1997-2002 LithTech, Inc. All Rights Reserved. If you are to report some supported\unsupported model, please note that this model should be one of the NOLF2 original stock models.